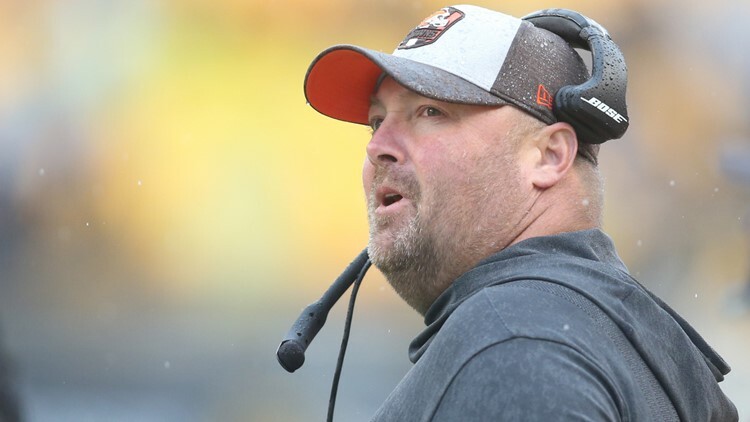 Cleveland Browns coach Freddie Kitchens has a selfless reputation for putting others ahead of himself. 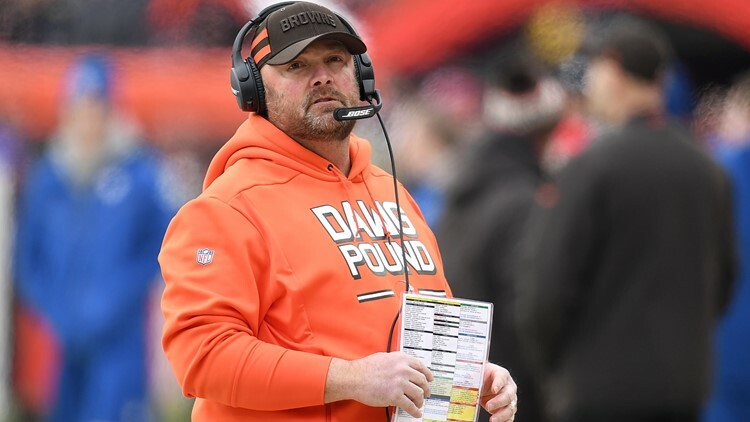 CLEVELAND — New Cleveland Browns head coach Freddie Kitchens is a well-respected veteran coach in the National Football League, and not just because of his proven track record of success with the Arizona Cardinals and in Cleveland. Kitchens commands the respect of whatever room he walks into because of his willingness to put others ahead of himself. “Freddie’s one of my favorite people on the planet,” former Cardinals quarterback Carson Palmer said of Kitchens in a feature for NFL Films in December of 2017. Palmer recalled one Christmas that Kitchens played Santa Claus and surprised the veteran quarterback’s children with gifts. “He went online and bought a couple hundred-dollar real Santa suit, like the real deal, like legit,” Palmer said. 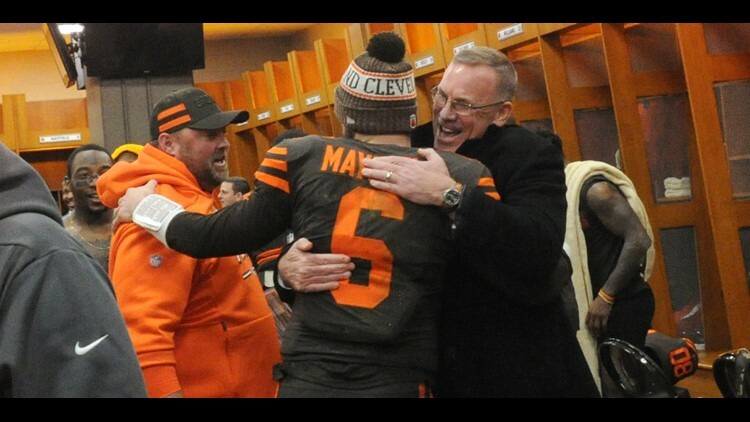 “He brought over presents for our kids. My kids lost their minds because he just showed up and started pounding on the front door. He comes in and he’s trying to do a Santa voice, but he’s got that southern, that Alabama accent, and it sounds like crap. But that was far from the only time Kitchens put others ahead of himself, as in a dire health emergency, he was thinking of his daughters, Bennett and Camden. While being airlifted to Arizona Heart Hospital in Phoenix ahead of a 10-hour emergency surgery to repair an aortic dissection, Kitchens used his cellular phone to take pictures of the flight in the helicopter to share with his daughters. “When he was being transported by helicopter, he remembered his daughters had asked him what it would be like to fly in a helicopter, and so, he thought, ‘Well, if I make it or not, at least take some photographs, my daughters will see what it’s like from a helicopter,’ said Dr. Andrew Goldstein, Kitchens’ surgeon. While others smile about Kitchens’ mindset on the helicopter flight, he looked at it as an opportunity to share something with his family. 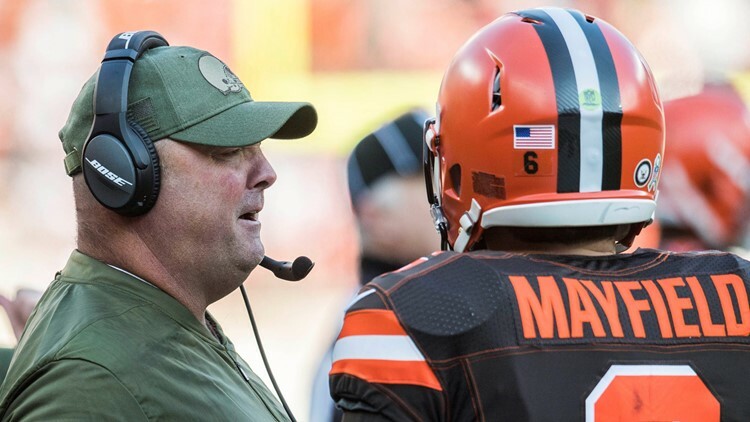 Because of moments like the helicopter flight and Christmas with the Palmer family, Kitchens has no shortage of fans around the league, and they believe in his ability to lead a group of men on the football field.